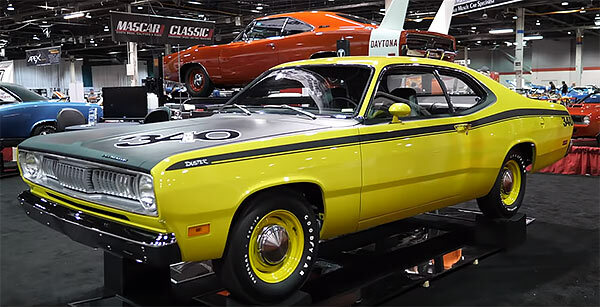 The Muscle Car and Corvette Nationals just celebrated its 10th annual showing this past weekend, showing off some of the best muscle cars in existence. There were so many tasty vehicles at the event, no matter your preference. The very rare came in the form of vehicles like COPO Camaros, a 427 Corvette, pristine originals like a 1970 Dodge Super Bee 440-6 Pack, 971 Dodge Challenger Convertible, 1968 Plymouth Roadrunner and a 1970 Pontiac GTO convertible more shiny and polished than a pristine mirror. To get a good idea of the event here are some choice videos which will give you a nice walk around many of the vehicles on show. Next Story → Chevelle Has Twin Blow Out At 150mph!